It worked and now we must get our own game of Clue too! After the play date, the nice weather made it an outside day for my kids and the boys across the street. I had no idea that is was a national event. 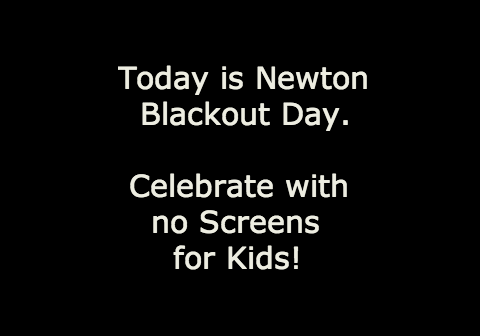 What did you and your kids do for Blackout Day? Please share your ideas and maybe we can stay off screens more this year! I stayed off screens too … and now I am 200 emails behind. Sigh!